Below is a list of links to other web sites that you may find useful for the purposes of gathering related information. See also Foreign Embassies in New Zealand , New Zealand Embassies abroad and Other International Organisations. New Zealand Newcomers Network is a national initiative providing a web platform and support services to over 37 regional Newcomers Networks all over New Zealand, that provide informal social activities and events for migrants and newcomers to and within New Zealand. This service has been in existence for 10 years and has been contributing to favourable settlement outcomes for many newcomers all around the country. In December 2016, Multicultural New Zealand took on the governance of the New Zealand Newcomers Network and this alliance has expanded the MNZ outreach significantly in 57 grassroots regions through 20 Regional Multicultural Councils and 37 Newcomers networks. Joining the local New Zealand Newcomers group is a great way to meet people, make friends in your new community and building social support. Provides a referral and information service for ethnic communities and policy advice to government. We focus on people whose culture and traditions distinguish them from the majority in New Zealand. Maori and Pacific people usually work through Te Puni Kokiri or the Ministry of Pacific Island Affairs. Migrants and refugees have the opportunity to learn English, to pursue aspirations for themselves and their families, and to participate in all aspects of life in Aotearoa New Zealand. English Language Partners is a community-based, not-for-profit, non-governmental organisation. Twenty-two centres offer a range of English language programmes to help bridge language and social isolation barriers faced by new residents. Programmes are delivered via a unique blend of 280 qualified professionals and 3,000 trained volunteers. New Zealand Police is responsible for reducing crime and enhancing community safety. Police provide services 24 hours a day, 365 days a year. Police operate from more than 400 community-based police stations. NZ Police have 8,800 staff and operate by land, sea and air. Police respond to more than 1 million calls each year. The Human Rights Commission champions fundamental human rights as a framework for a fair and just society for all the people of New Zealand. The Commission can also resolve disputes relating to unlawful discrimination. If you believe you have been discriminated against you can ask the Commission for assistance. Globalisation, migration, and growing within-society diversity have contributed to the multicultural nature of modern life. New Zealand’s obligations under the Treaty of Waitangi and increasing intercultural contact across diverse groups have highlighted the necessity for enhanced intercultural awareness and effective intercultural communication. The Centre for Applied Cross-Cultural Research engages in activities that capture the realities, diversities, and complexities of different people living together in today’s world. Asia New Zealand Foundation (formerly known as Asia 2000 Foundation of New Zealand) was founded in 1994 as a non-profit, apolitical organization dedicated to building New Zealand's links with Asia. Through its activities in education, business, media, cultural, research and policy studies, Asia:NZ aims to promote initiatives which deepen understanding and relationships between New Zealanders and the peoples of Asia. 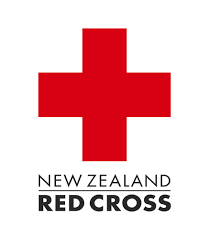 Red Cross New Zealand provides settlement support for refugees. New Zealand accepts 750 refugees per year under the Refugee Quota. The Children's Commissioner speaks out on behalf of all children to ensure their rights are respected and upheld. This position is established by statute; the Children's Commissioner Act 2003, and previously the Children, Young Persons and Families Act 1989. The Act allows the commissioner to inquire into any matter affecting children and young people in any service or organisation and investigate the actions of the Department of Child, Youth and Family Services. Your decision to come to New Zealand – whether to live, work, invest, study, or visit – could be a significant and life-changing decision. Immigration New Zealand can help you access everything you need to know about coming here. The New Zealand Qualifications Authority (NZQA) was established in 1990 to provide an overarching role in quality assured qualifications and to coordinate national qualifications in New Zealand. The Department of Labour helps New Zealanders achieve high-quality working lives in thriving and inclusive communities through information, services and support for workplaces and communities. Community Networks Aotearoa (formerly NZCOSS) is the umbrella organisation for local Community Networks, Community Houses, REAPS and other community networks throughout Aotearoa New Zealand. They use their collective voice to lead to policy action, social change and community empowerment. Their membership includes not-for-profit and voluntary social service organisations all over the country. FECCA is the peak, national body representing Australians from culturally and linguistically diverse backgrounds. FECCA's role is to advocate, lobby and promote issues on behalf of its constituency to government, business and the broader community. Established in 1979, FECCA is a non-political community-based organisation. Apart from its national office professional staff, it is supported by the work of a voluntary Executive Council. An online hub of resources designed to strengthen communities. CommunityNet Aotearoa puts quality resources in one place making it easy for community organisations to search and discover the best resources for them. Volunteering New Zealand provides information about volunteering - both for individuals who want to volunteer and organisations who want to provide volunteer opportunities. Through their website you can also access volunteer centres throughout New Zealand that can help you to find voluntary work positions. Original generation time 1.1436 seconds. Cache Loaded in: 0.0005 seconds.